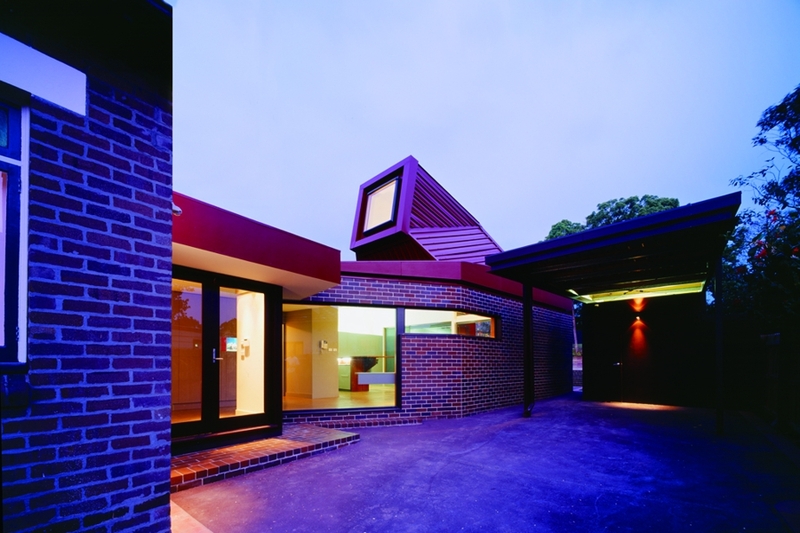 Terroir - Projects - Ryde House: "The Snorkel"
The project sits at the rear of an existing Federation house in Ryde - one of Sydney’s inner western suburbs. 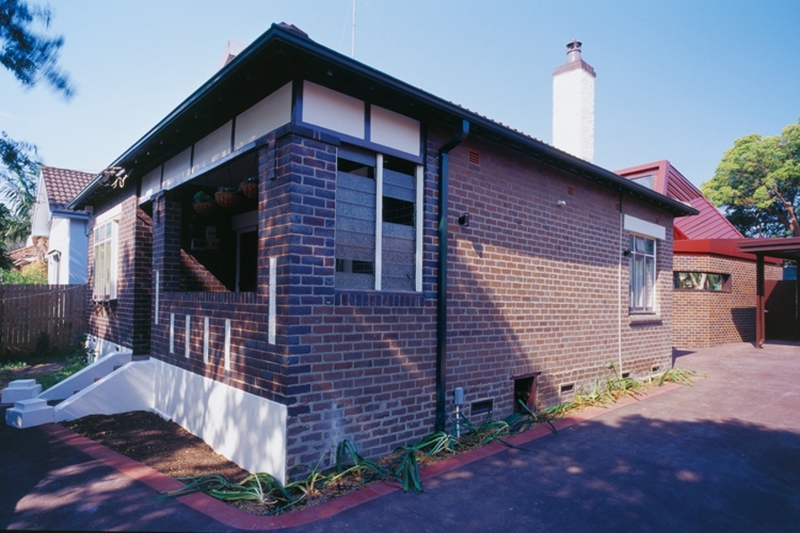 The existing house is unremarkable in itself but along with the adjacent Federation houses does form part of a consistent streetscape. 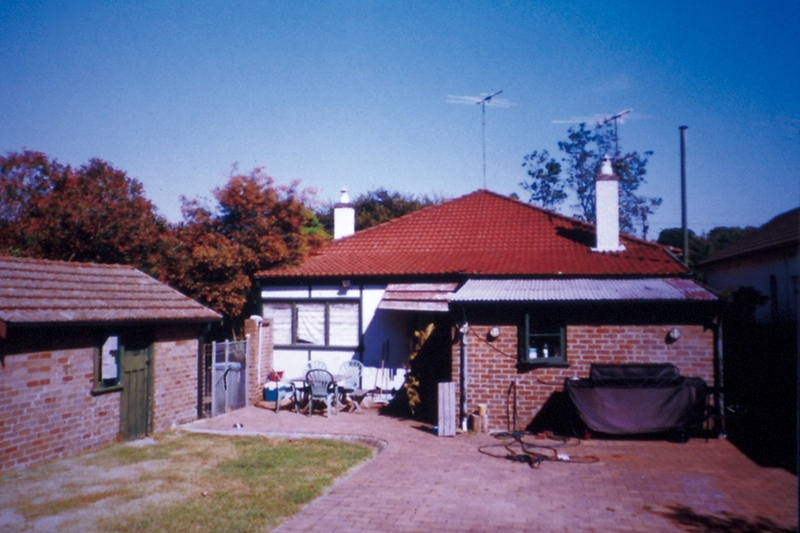 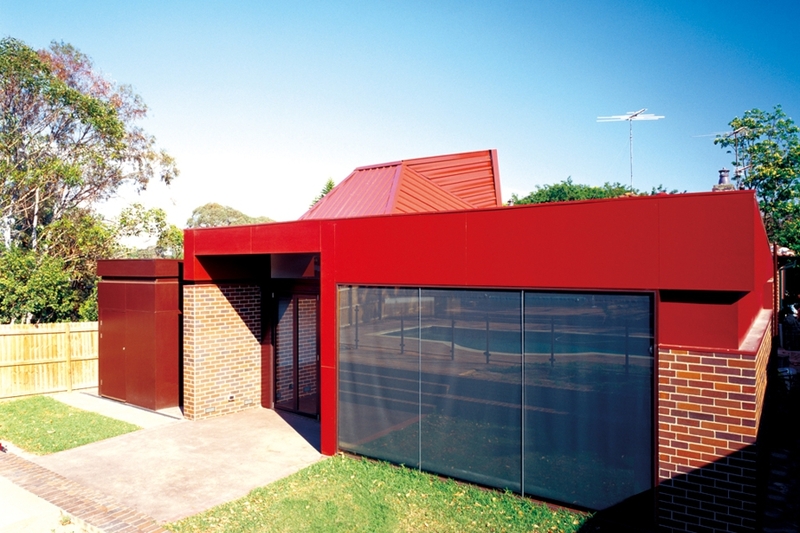 The existing house has a definite “front” articulated by an enclosed verandah, while the back of the house had been crudely modified over time to accommodate utility areas. 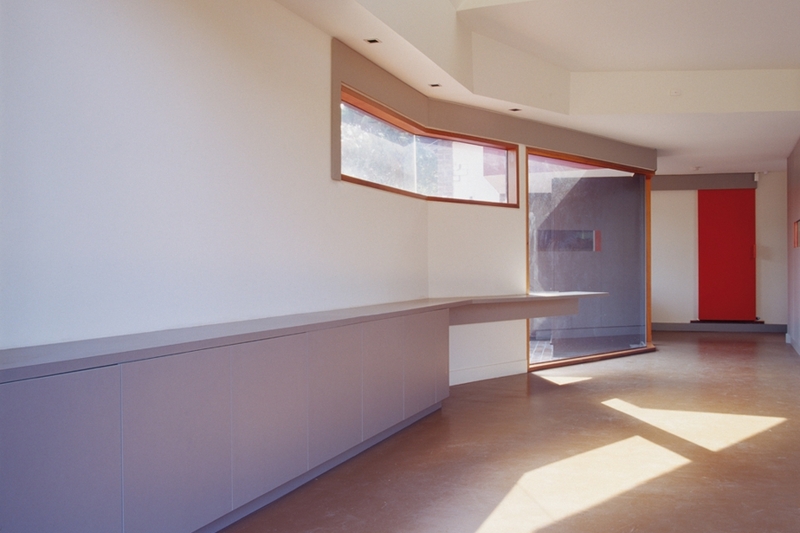 The interior of the house consists of small, cellular spaces with limited view to the outside or connection to each other but distinguished by some fine quality hard-plaster detailing typical of the period. 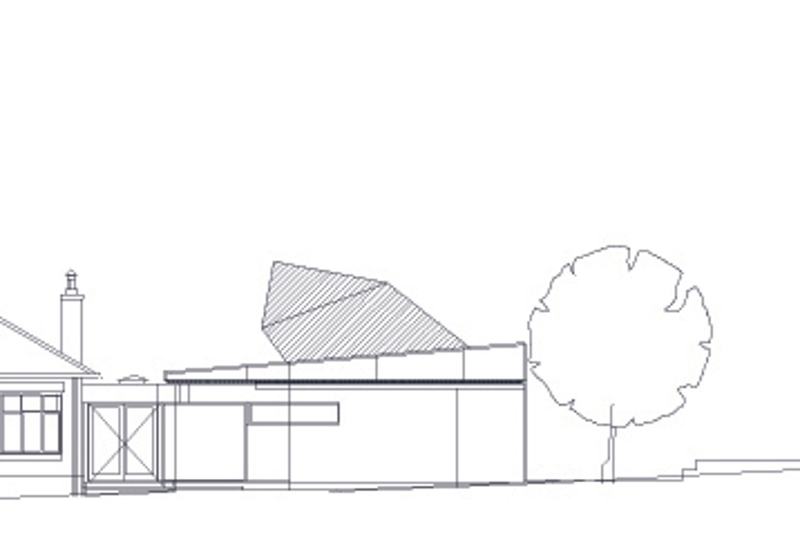 Artist and architect Richard Goodwin approached TERROIR to collaborate on the proposed expansion and reconfiguration of the existing house. 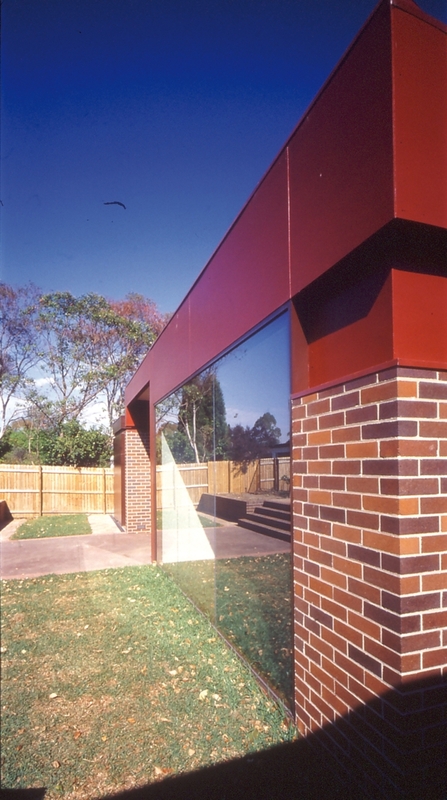 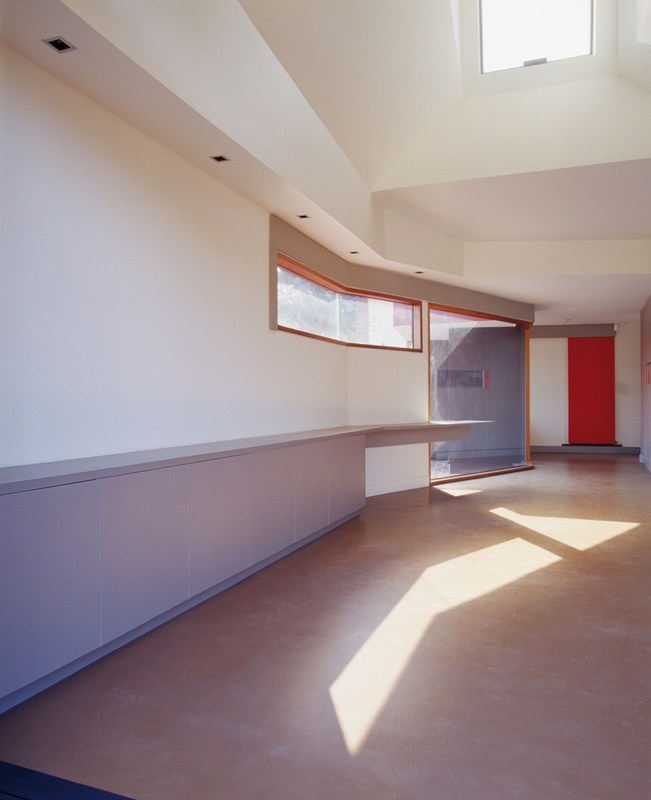 The form and construction of the existing building suggested re-use as bedrooms while a new building to the rear accommodates spaces for living and eating. 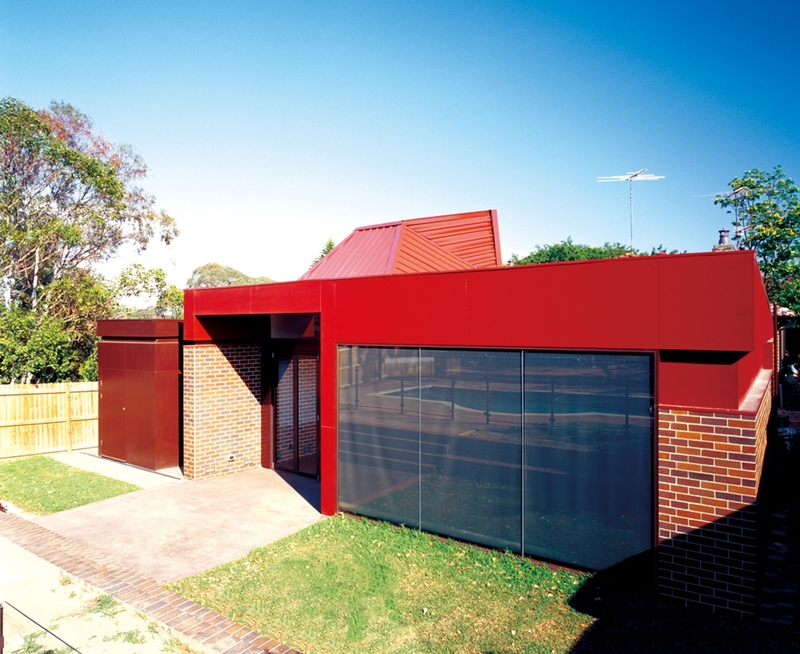 Goodwin’s interest in the “parasite” as a transformative urban intervention suggested a departure point for the extension. 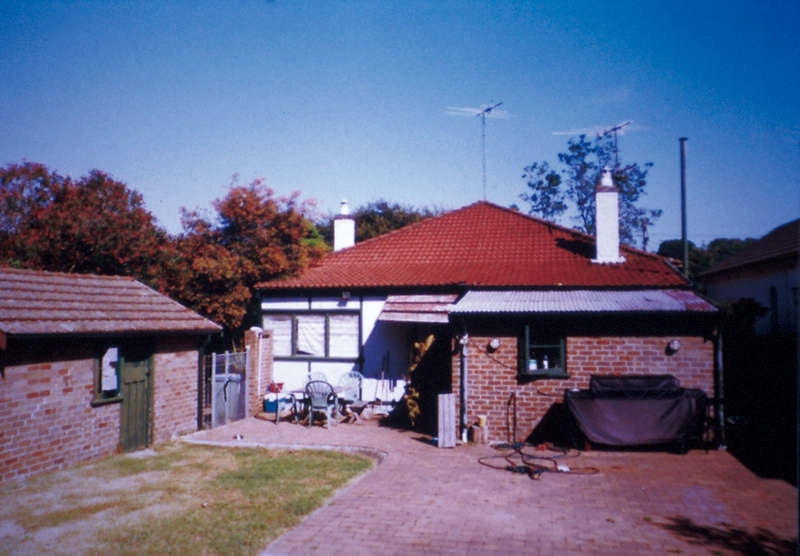 This was then moderated in the development phase by TERROIR’s interest in the “archaeological” remnant of the existing house and how these qualities may inform new work. 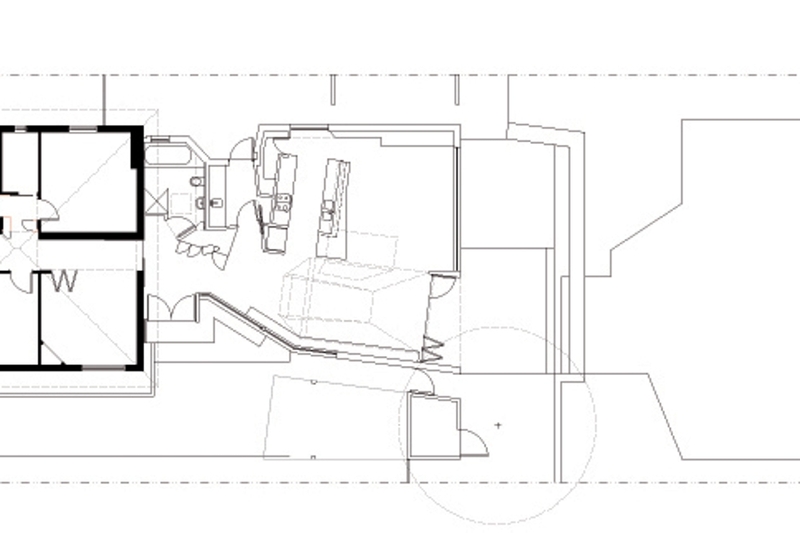 The existing house is therefore reconfigured and augmented by a new language of layered walls, a dialogue between brick and plaster elements and “the snorkel” around which the new space takes form. 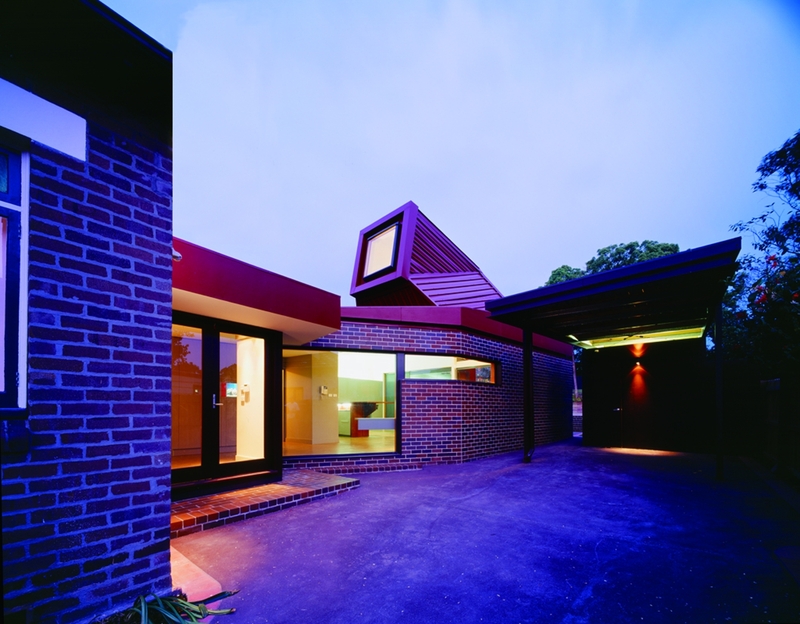 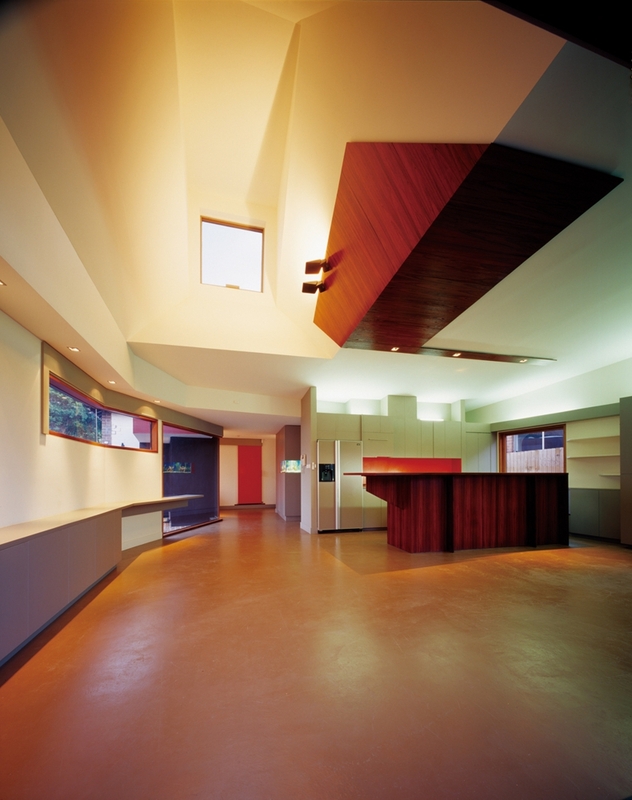 The “snorkel” addresses the orientation of the extension to the south, reaching back over the roof to the northern sun. 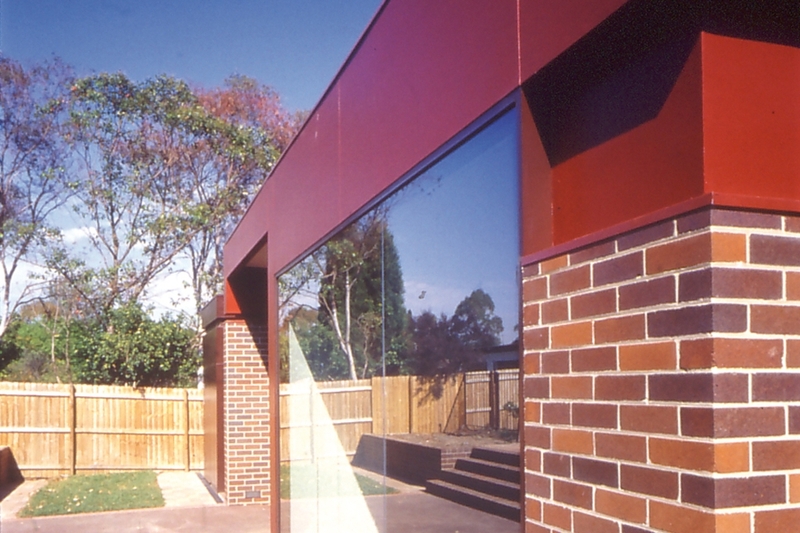 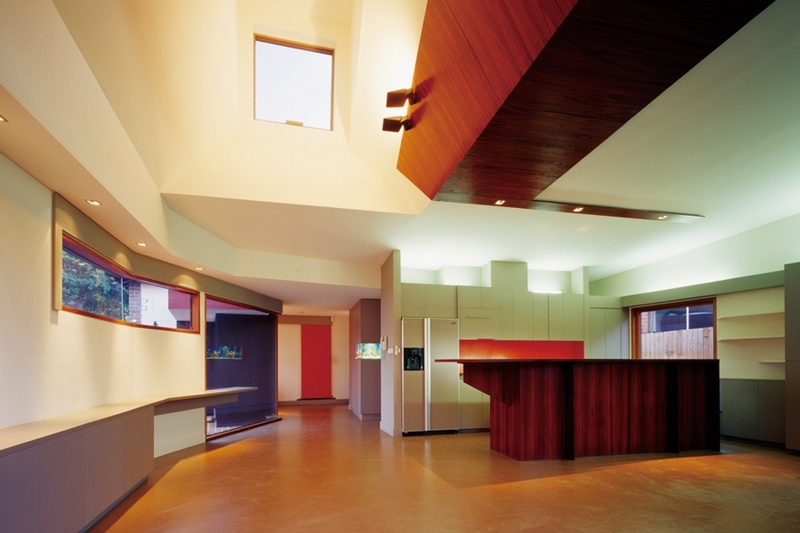 This element provides a vertical release for spaces in the new extension and defines the location of the dining area. 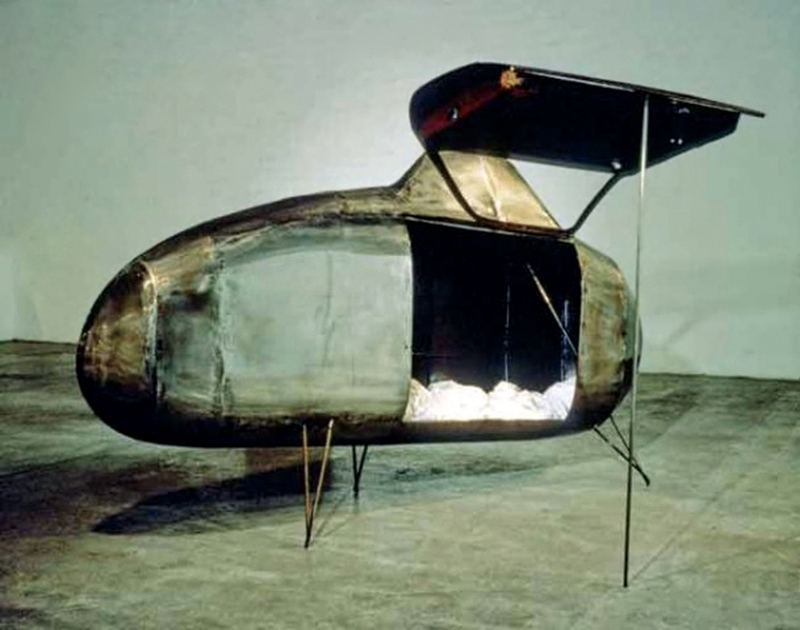 It is a formal response that places the work in the realm of the sculptural - as opposed to the “assembled object” - and thus anticipates later works by the practice. 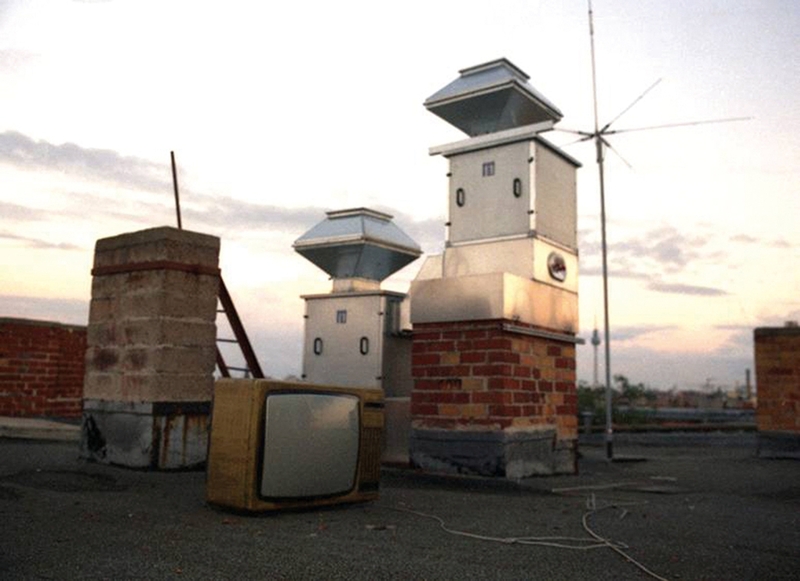 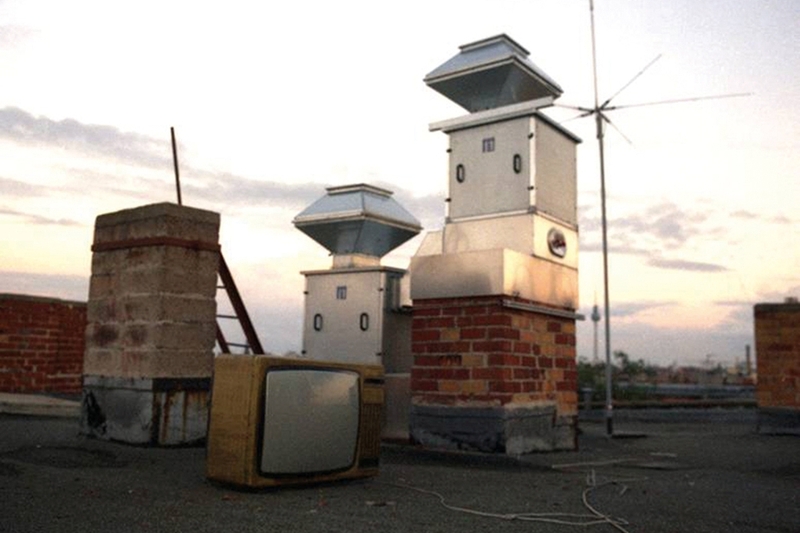 Image of chimneys by Simon Wood. 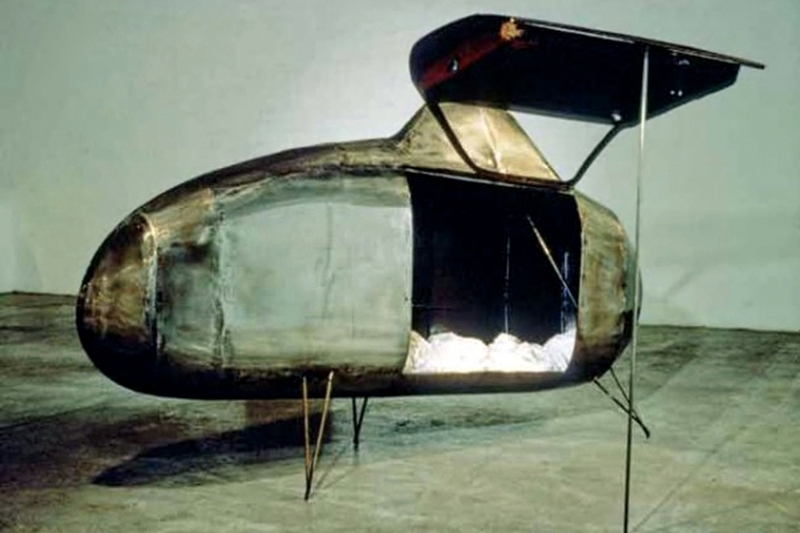 Image of 'Exoskeleton Pod' by Richard Goodwin courtesy of the artist.